Pharmaceutical Bioprocessing as a field of study has gained great significance at with advancements in the field of biomedical research paving the way for innovative pharmaceutical products. Pharmaceutical Bioprocessing Journal thus discusses the latest happenings in the drug design, production and delivery in order to offer efficient solutions to mitigate the public health concerns. This scholarly journal offers an Open Access platform to the scholars, amateurs, clinical practitioners and students that are keen in contributing their findings in this field. 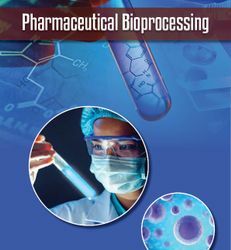 The journal includes wide areas of studies in this field by including topics like Process design, development, scale-up and automation; Production facilities, equipment and the use of disposables; Cell expression systems for biopharmaceutical production; Bioreactors, Upstream and downstream processing; Bio-containment, safety and cGMP processes; Production of recombinant proteins, mAbs, vaccines and cell therapies; Analysis: processing design, process analytics and release criteria; Bioformulation, validation, regulation and patient delivery; Regulatory issues and other areas of debate; Disposable Bioprocessing Systems. Not limited to the categories mentioned above the journal offers thoroughly reviewed original research as research articles, review articles, case studies, commentaries, Short Communication, and Letters to the Editors in this field. Indexing Information: Pharmaceutical Bioprocessing Journal is indexed in the quality indexing sites such as CNKI, Open J Gate, Chemical Abstracts for increasing visibility and discoverability.